Grab a brush, easel and canvas and get painting! 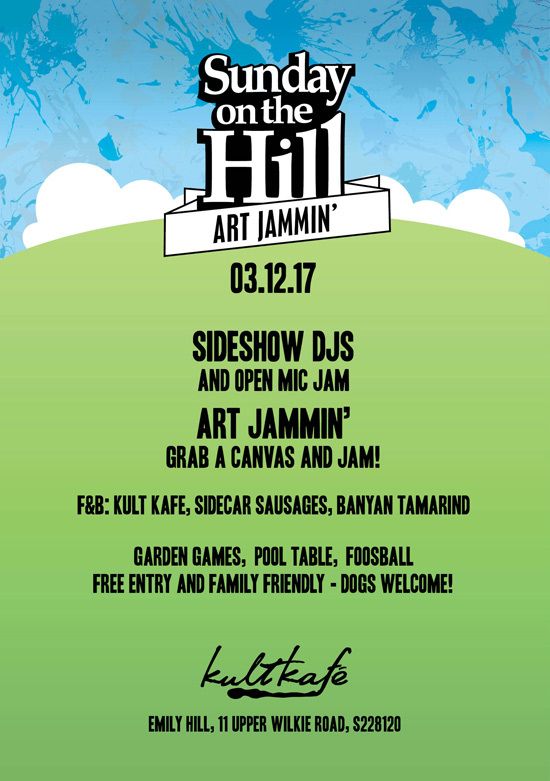 We’ve teamed up with Splash Academy for an art jammin’ session on the hill. Go solo or team up with a friend to produce your take-home masterpiece. Price: $30 for up to 2 people (inclusive of paint and canvas). Limited places so please register at the Splash Academy tent early. We’d like to invite all the amazing musicians we’ve met (and those still to meet) for a open mic jam session. No rules, no pressure, just turn up and jam with us! Mics, mixing board, drinks and cables will be provided. F&B by Kult Kafe, Sidecar Sausages and Banyan Tamarind. No outside food and drinks please – we rely on your custom to keep the party rolling! Come jam on the hill!